Situated in Pietermaritzburg, the capital of KwaZulu-Natal, the Tatham Art Gallery is one of the major art museums in South Africa and a popular tourist attraction. The Tatham Art Gallery, dating back to 1903, holds an Art Collection that contains significant British and French artworks dating back to the 18th century. Its South African art collection and exhibitions are focused on, but not exclusive to, the art of KwaZulu-Natal. The Natal Museum in Pietermaritzburg (KZN) houses a wide variety of animal collections that represent the rich diversity of life in Southern Africa. The entomology collection is the largest collection of insects in the South Africa. The Dinosaur Gallery and the Fossil Exhibit display ancient specimens found mainly in South Africa. There is also a comprehensive Bird Gallery and a Marine Gallery, which contains the rare Coelacanth. In 1912, a single-theme museum was established and housed Voortrekker relics and recorded the history of the five parties of Voortrekkers who left the eastern Cape from 1835. The multi-cultural museum is now made up of: The Main Building, The Voortrekker Complex, The Shiva Indian Temple, The Zulu Hut, and 333 Boom Street, The oldest remaining double storey Voortrekker house in Pietermaritzburg. A popular KZN tourist attraction. The Royal Show is normally held in late May through early June with the duration being 10 days including two full weekends -- the show is primarily an exposition for agriculture, commerce and industry - KwaZulu Natal's largest audited annual event. The Scottsville Racecourse is on of the major attractions in Pietermaritzburg in the KwaZulu Natal Province of South Africa. 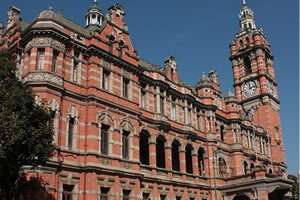 Advertise your Pietermaritzburg Attraction in the infoHUB Business Directory & Information Portal.